Teresa Whitehurst knows what it's like to be a single mom. She faced many challenging times when money was short, when her back was aching, and when her spirits sagged from trying to "do it all" without letting anyone know she needed a little rest or assistance. Over the years she learned that both she and her children benefitted when she stopped trying to be perfect; admitted her needs, frustration, loneliness, or fatigue; and reached out to God and to supportive friends and family. 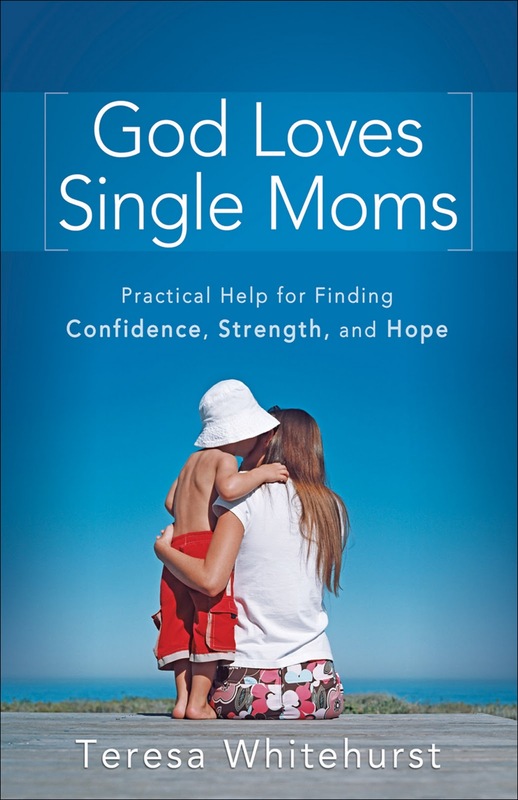 In God Loves Single Moms, she offers you down-to-earth advice on navigating the world of single motherhood with confidence and hope for the future. Packed with practical tips, smart strategies, and ways to improve your family's well-being, this book tackles your most pressing issues, like self-care, developing a support network, organization, finances, discipline, and more. It can feel like you're struggling through life on your own. But you have a partner who wants you to succeed and wants your children to flourish. God loves you and wants to guide and support you every step of the way. Whether you've never married, you're divorced, or you've been widowed, you and your children deserve the best life has to offer. And while you may get weary, you need never feel alone. I picked up this book because I thought it might be a good one to refer to, when working with moms who are learning to navigate life and parenthood as a single parent. This book, filled with tips, nuggets from various sources, and what seems helpful - an inventory designed to give moms a chance to assess the lives of themselves and their children. With chapters broken down covering a variety of topics, this book touches on subjects ranging from self-care, being organized, children's behavior and even, dealing with the child's father. This book is a combination of a workbook and guide. It's not a "passive" read. It is designed to help a mom process what's going on in their life, and how they can move forward with success. I plan to pass this book on to someone I know, struggling at the beginning of her new journey of single parenthood. This is definitely a book I will add to my "children's ministry" resource list. Teresa Whitehurst is a clinical psychologist who provides counseling as well as personal and career coaching. She has worked as a psychotherapist for many years in private practice, at Harvard Medical School, and at Kaiser-Permanente. Dr. Whitehurst writes and speaks on parenting and personal development issues and is the author of How Would Jesus Raise Your Child? She is a single mom who has two adult daughters and two grandchildren.